English retains an interesting variability in its indefinite article: "a pear" but "an apple." We used to have this -n form for possessives too, as in "Mine eyes have seen the glory…" But now we have no trouble saying "My eyes," and judging from the speech of my children, I'm sorry to say that we may be losing our a/an distinction, too. To my bafflement and dismay, P and T don't seem to have an as part of their active vocabulary. Be that as it may, even if we eventually lose our pre-vowel variant for our indefinite article, it will still have left us with a legacy in the form of some of our nouns. See, an article and its following noun are usually pronounced run together as if they were all one word, and sometimes hearers parse the article/noun combination incorrectly. This is called "juncture loss." adder was originally nadder, cognate with natrix, the Latin name for water snakes. apron was originally napron, related to "napkin" and "napery." umpire was originally noumpere, from French nonper, meaning one not equal. orange came into English from the Spanish naranja, and misplaced its N on the way. 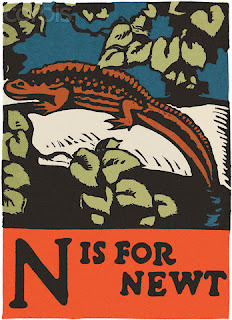 The N can wander the other direction, too. Here are a couple of words that gained their Ns from hanging out so often beside them. I'll start with uncle, which was for a time interchangeable with nuncle, and shows up that way in Shakespeare about 10% of the time when brothers of parents are under discussion. However, the nuncle form has not stuck after all, so it doesn't fully count here. nickname was originally ekename, meaning "extra name." newt was originally ewte, and it's just a fabulous word either with the N or without. I recently discovered several interesting on-line resources reproducing bestiaries. 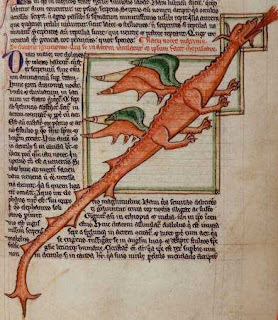 Bestiaries are, of course, collections of beasts, but the medieval ones that the word "bestiary" usually implies include not only natural history, but also all sorts of symbolism, moral lessons, and what we now believe to be sheer fairy tale. At the time there was no separation between science books and allegorical works, and nor were the "facts" ever checked with the modern scientific method. Bestiaries seldom involved original scholarship. Each one generally copied from previous texts. 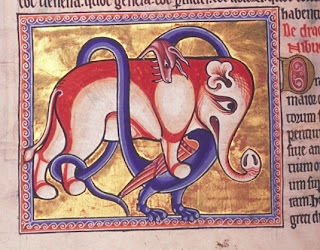 So bestiaries frequently include both real and fictional creatures, while the information about even the real animals includes all kinds of fantastical claims. 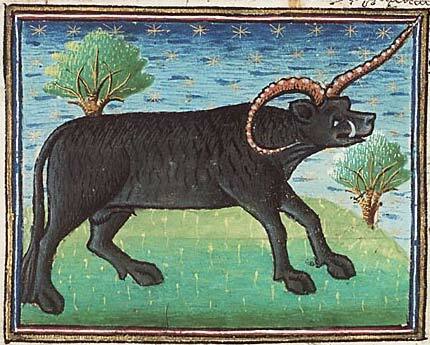 This, of course, is half of what makes bestiaries so much fun. 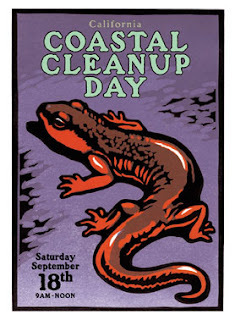 The second half of the fun is the illustrations, sometimes whimsical, sometimes bizarre, sometimes beautiful, sometimes grotesque… The small paintings depicting the array of critters are often painstakingly done, but clearly owe more to imagination and convention than to direct observation. Since bestiaries were made in the medieval period, (being especially popular around the twelfth century), it isn't too easy to get a chance to look at one. 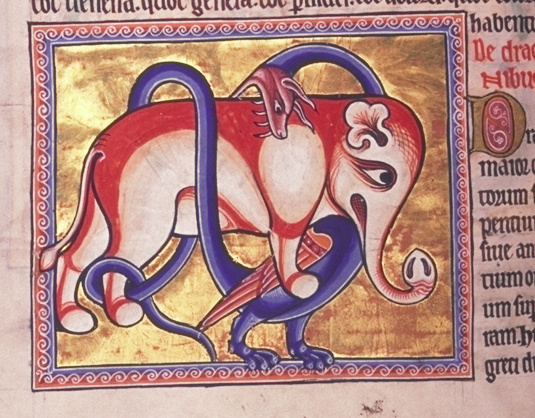 That's why I'm so excited to have discovered several sites where bestiaries have been digitized and made available for anyone with web access to enjoy at any time. Of course seeing art on the computer screen doesn't compare with seeing it in the original, but it sure beats not being able to see it at all! First the Aberdeen Bestiary. This site includes the entire book, every page reproduced, with all kinds of information about what you're looking at. You can see details about how the book was made and illustrated and used, plus there are translations and commentary on the text, so you'll be sure not to miss any of the valuable information on the reproductive habits of hyenas or how to vanquish a basilisk. 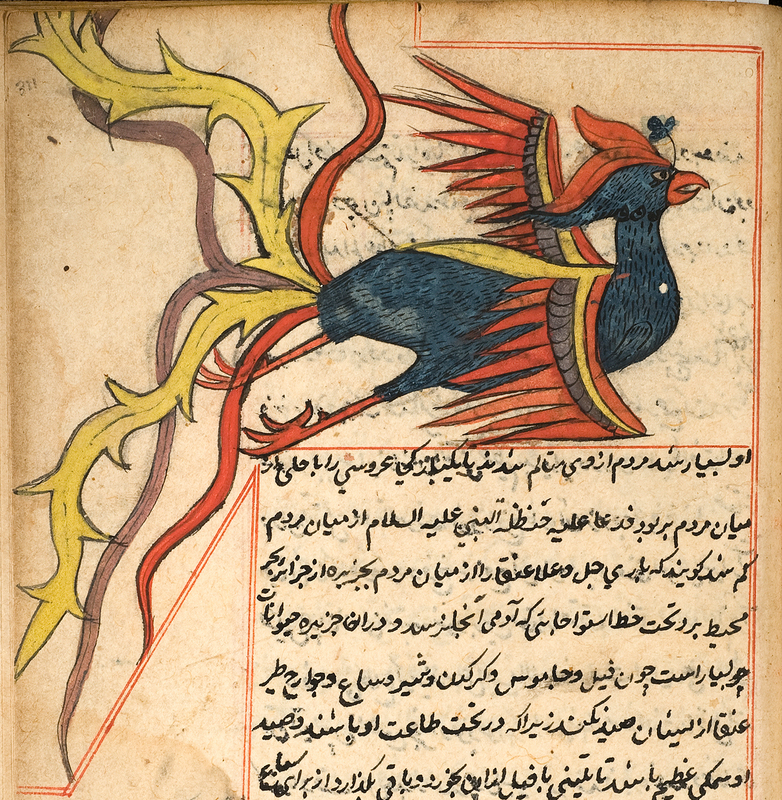 The National Library of Medicine also offers some wonderful digital books, including a cool Islamic bestiary, The Wonders of Creation, from the mid thirteenth century. 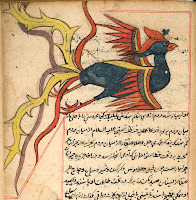 It has a very different selection of creatures from the western bestiaries, including the zodiac and lots of jinns and demons. 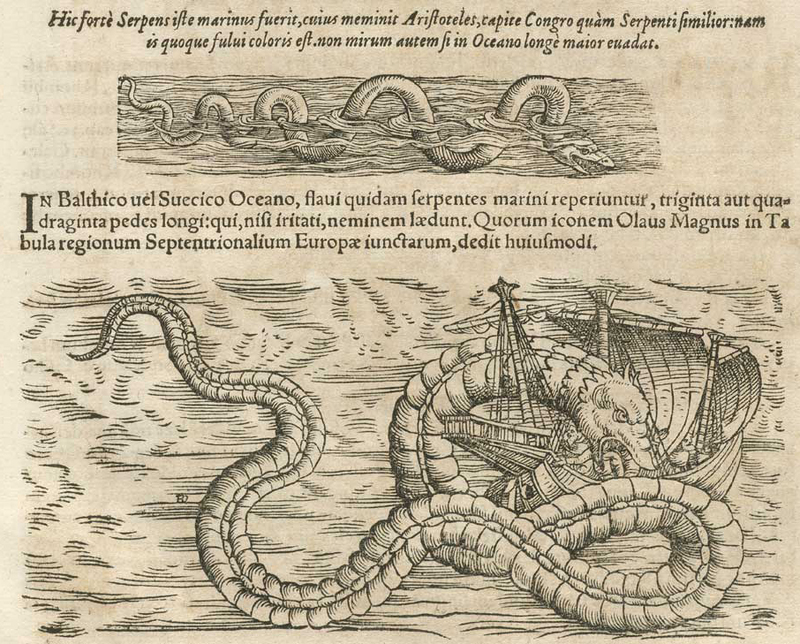 The National Library of Medicine also gives us Conrad Gesner's Historiae Animalium from 1551. This was a Renaissance attempt to bridge from the medieval bestiary to "modern" science, and while the scientific accuracy quotient of this book is a fair bit higher than earlier bestiaries, it still includes plenty of distinctly fantastical illustrations. 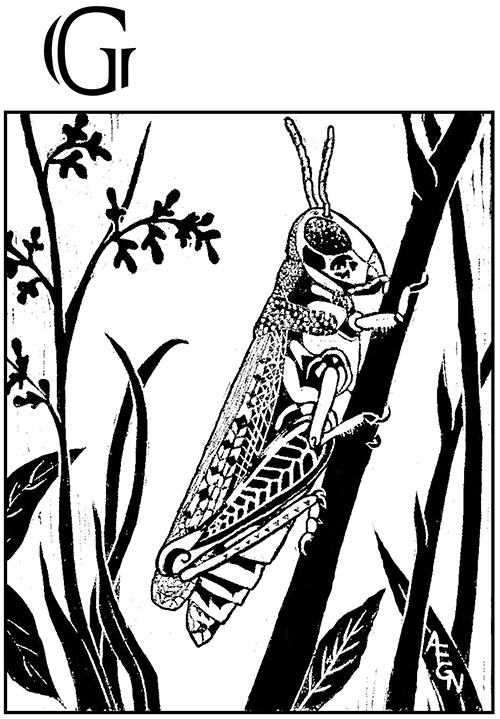 Also, it's illustrated with woodcuts: Bonus! Double score! 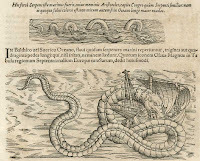 The University of Houston Digital Library includes a wonderful collection of illustrations from Edward Topsell's History of Four-footed Beasts and Serpents. 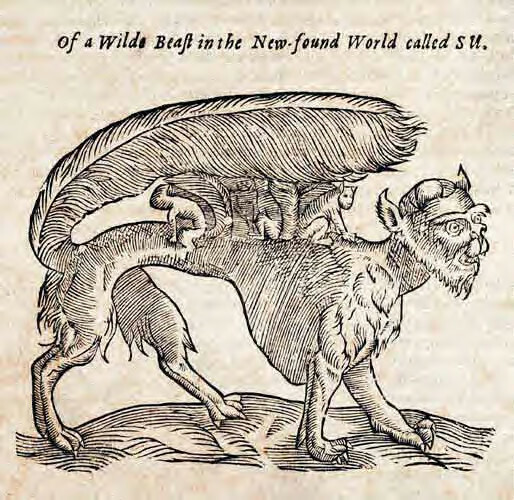 This book was published in 1658 and was heavily based on Gesner's Historiae Animalium, but with lots of additional woodcuts. 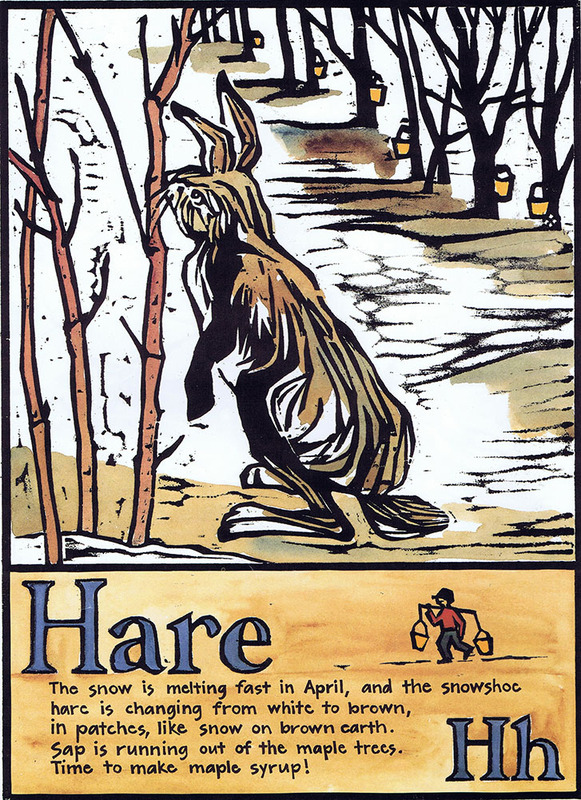 It often has two depictions of the same animal - what look to be older and newer versions. Finally here's a really great site, The Medieval Bestiary, that includes images from several different manuscripts. There are good explanations, and you can sort by animal or by source. What a wealth of art and information! Here are a couple of beautiful wood engravings by Paul Landacre (USA, 1893-1963.) They exemplify the very precise, formal carving style that made him famous. I find it a really interesting juxtaposition that he habitually used such a stark, mathematical style to portray organic, natural subjects. 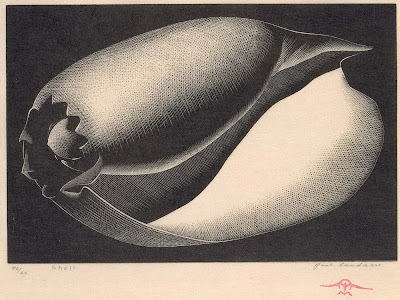 If you look at this shell closely, the entire thing is done with just one sort of line, but the density of the crosshatching varies subtly enough to give an incredible delicacy of shading. This piece is simultaneously realistic and abstract. Landacre was largely self-taught, but seems to have had a driving ambition to master the craft and make it in the art world. He was especially known for scenes of the western US. Here's one I really love. I long to see this one in person and be able to examine the carving on that smoke tree. The different texture of the tree compared with all the straight lines of the mountains is very effective. He's made it absolutely luminous. I'll definitely be keeping my eyes open for more of Landacre's work. 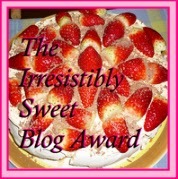 Last month the fabulous Janice Floyd Durante at Books of Wonder and Wisdom tapped me for the "Irresistibly Sweet Blog Award." Thanks, Janice! It's fun to be connected. This is the sort of thing that makes the world wide web feel like a web. So, the rules are that I tell seven interesting things about myself, and pass the award along to some other deserving blogs. It's taken me so long to pass it on because I listed seven interesting things back in January, and I'm afraid there may not be seven more interesting facts about me. Is it interesting to note just how placid, privileged, and pleasant my life is? Certainly I feel unusually blessed. But here goes: another list of factoids about moi. 2. I love llamas! Llamas are marvelous! And yet I've never done a block print of a llama. 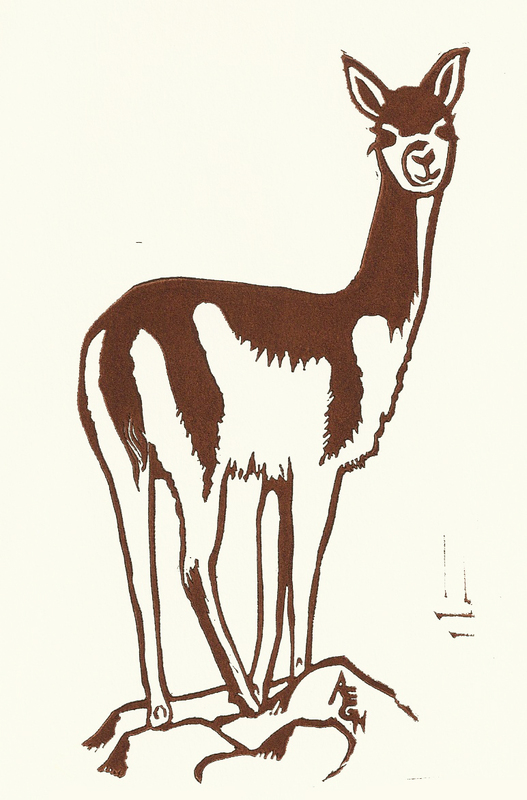 (I did a vicuña, for the V for my animal alphabet, but no llama.) 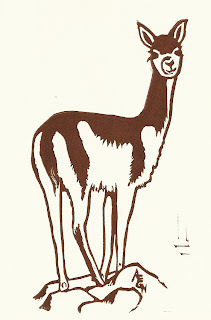 The reason is simple: I'm afraid I don't know how to do the Best Llama Block Print Ever, and anything less than the best would be too terrible a disappointment. But I still hope that someday I'll carve and print a tribute to the wonderful llama, and when I do you'll know that I'm finally feeling myself to be a master. Making doll houses of all themes and scales was one of my main hobbies as a child. I built houses for various small toys, I built houses of all different materials, and as I got older I concentrated on creating standard 1:12 scale dollhouse miniatures. I haven't made any miniatures in years, but I still love to look at them. This blog has lots of great photos of amazing miniature creations. I have a hate-hate relationship with today's fashion world, but I've always had an interest in historical costume. I like the historical research and emphasis on accuracy in this blog (although I might wish the punctuation were as accurate as the sewing!) I also like the way she's interested in people as well as their clothing. 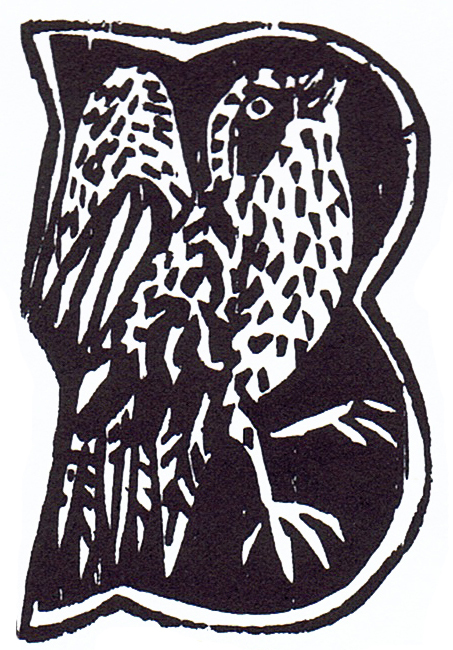 If you've been to my web site and seen all the block prints I make of animals, it won't come as a surprise that I love creatures of all kinds. As a kid I watched natural history specials on PBS every week, and that was pretty much the only TV I watched. Here's a fun site celebrating the wonderful diversity of the animal world. It's truly amazing, beguiling, and curious! And finally, another crop of interesting block printing blogs. These artists do such beautiful work, and show such great inspirations. I love to see the way other artists work. 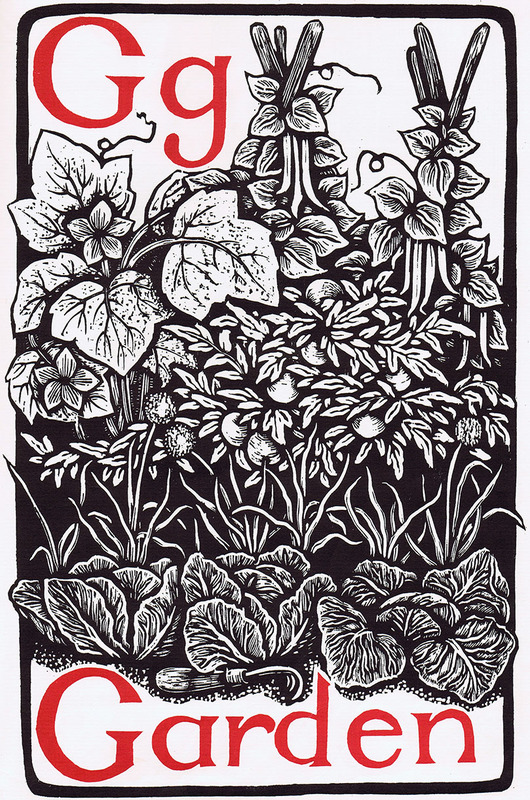 And of course I feel a kinship with all the other artists out there doing block prints. Go, team, go! A while back I read Elmore Leonard’s rules on writing, and I'm afraid it brought out all the contrarian curmudgeon in me! It’s pretty clear Elmore Leonard wouldn’t approve my writing. On the other hand, while I’ve never read anything of his, I don’t particularly like the writing that he holds up as a model, either. The more the professionals tell me that if I don’t write like Steinbeck I’m no good, the more stubbornly I dismiss the whole snotty, self-satisfied lot of ‘em. Who needs their smug “advice” anyway? Sure, Steinbecks’s an acclaimed writer, but I don’t want to write like Steinbeck. I wouldn’t take Steinbeckitude as a gift. In fact, I write precisely in the hope that there will be more non-Steinbeckian books in the world. Please pardon my stridency and allow me to hazard here an analogy between the publishing industry and the modeling industry. Models are undoubtedly beautiful -- they are the ones whose beauty has been officially proclaimed by the professionals, leaving the rest of us wondering whether we need to do whatever it is they do so that we, too, can be beautiful. There are thousands of books and magazines offering us advice on how to be beautiful – use the right products, have the right hairstyle, wear the right clothes, do the right exercises... get the right plastic surgery... But what if I don’t want to look like Gisele Bündchen (or whoever’s hot right now)? I want to look like me, beautiful. So where is that line between helping me be me beautiful, and trying to hector me into longing to be just like a fashion model? Where is the line between helping me make my writing excellent and trying to hector me into thinking I have to write like Steinbeck to be publishable? As for Leonard’s advice, of course all his points are absolutely useful ideas to keep in mind as a sort of checklist to consider. But I can think of exceptions to all of them. Leonard’s over-all point, that the author should get out of the way of the story, is also very interesting and worth considering. Certainly writing should not be self-advertising, like the way Jim Carrey acts, or jarring... but many of my favorite books are characterized by the “voice” of the narration, even when there is no narrator. J. K. Rowling and Jane Austen are both examples of this – there is no character telling the story; the narrator is an invisible omniscient... and yet both authors provide humor and commentary in their choices of how they tell the story. It's clear that someone is telling the story, and the personality of that invisible someone is one of the most enjoyable things about their books. What does all this have to do with my writing? (Or yours?) I admit that it may be dreadful arrogance on my part to resist so stubbornly the idea that I should mold myself to others’ advice, and my only defense is that I understand I will never be a best-seller any more than I will ever be a supermodel. I want to be the best writer I can be – I want it badly! – but if the way to be a good writer is to write more like Steinbeck, I’m going to have to say, “No, thanks.” I write because I have stories I want to share, and if failing to follow others’ writing advice means not so many people will ever read my stories, that makes me sad. But I think it would be even sadder to spend my time forcing myself to tell other people’s stories in other people’s styles. 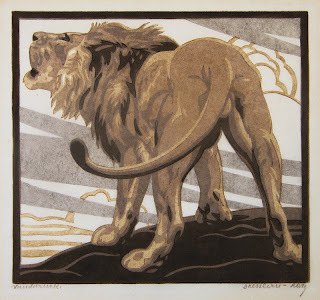 Here's another artist with some great relief prints. 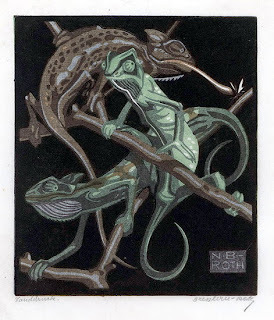 Norbertine von Bresslern-Roth (1891-1978, Austria) was one of a group of artists who depicted mostly animals. Her animals combine realism with a modernist aesthetic. She often showed multiple creatures grouped in graphic patterns, or with dramatic poses on semi-abstract backgrounds. In this example the chameleons are artfully posed and wonderfully stylish. They clearly share their fashion sense with Erté. I really like this four-block lion. I love that I can see the edges of the ink (especially on the cloud shapes), which gives more of a sense of the carved blocks behind the picture. From my vantage point behind the lion, I get a feeling that I'm seeing the same thing he's seeing as he gazes out across his kingdom. It makes me feel more connected with the lion. 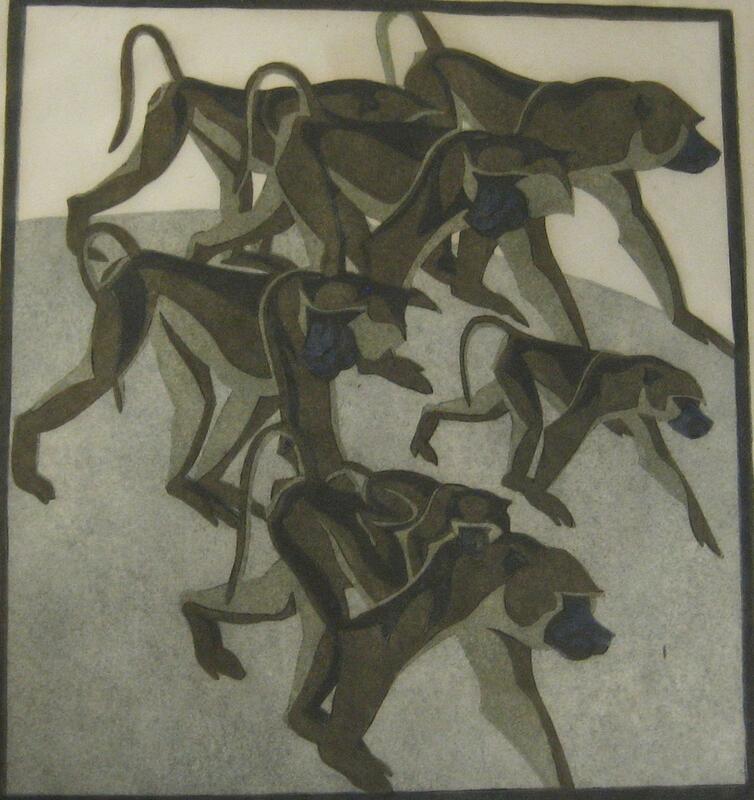 These baboons are a little more abstract, so that they make a graphic pattern with their shapes. The three at the top overlapping each other almost blend together into a single variegated shape. I'm afraid that I'm too literal-minded and too tentative to make patterns like that, without a clear differentiation between one object and the next, so I like to see how other artists manage it. Finally, I include this little lion cub because it's the only example I found on-line of a simple black and white piece. 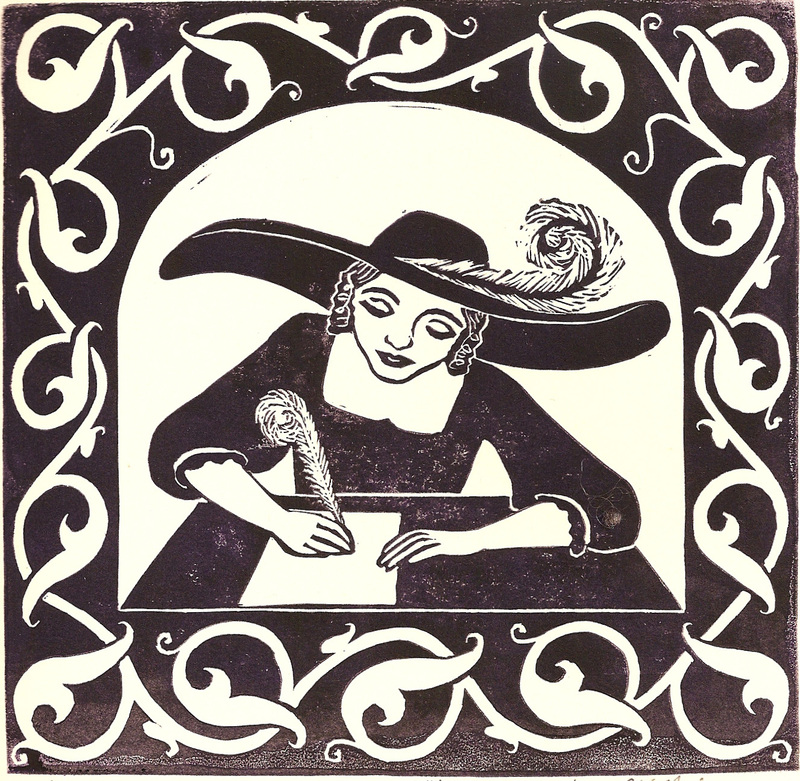 Bresslern-Roth primarily did the multi-block multi-color relief prints, but you can see that she can handle black and white, too! But back to Dunsany, here's a sample passage: And little he knew of the things that ink may do, how it can mark a dead man's thought for the wonder of later years, and tell of happenings that are gone clean away, and be a voice for us out of the dark of time, and save many a fragile thing from the pounding of heavy ages; or carry to us, over the rolling centuries, even a song from lips long dead on forgotten hills. All in all, I definitely enjoyed the book, though I was not so smitten with it that I rushed out to procure everything else from Lord Dunsany's pen (which was allegedly a quill pen, by the way.) It was beautiful and evocative. It was also instructive, in showing how the stage got set for so many other later writers (for good and ill!) 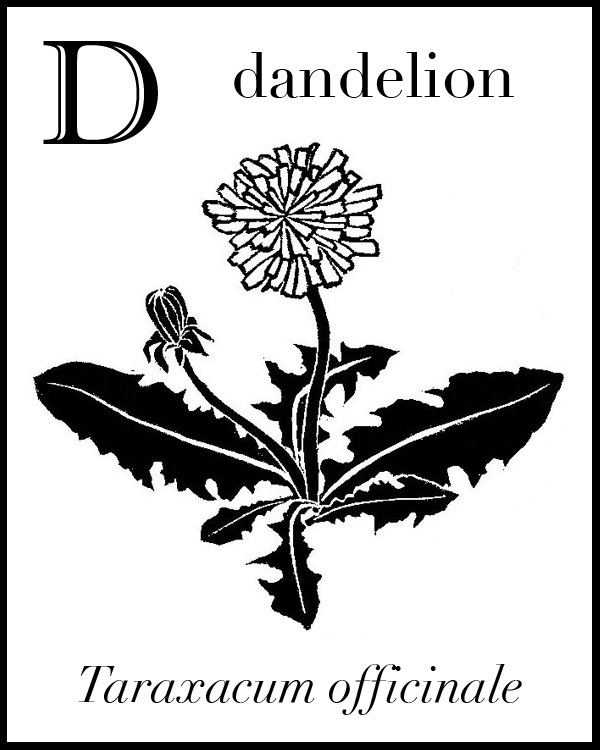 Dunsany's work was an influence on writers as diverse as W.B. Yeats, Neil Gaiman, H.P. Lovecraft, and Arthur C. Clarke, as well as Tolkien. For anyone with an interest in the genre of fantasy I highly recommend seeing for yourself what the fuss was all about. from a wider selection of the block printed alphabets I've been finding. 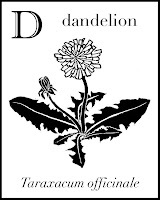 So here are some of the plants and animals, people and scenes that might be found in a garden. 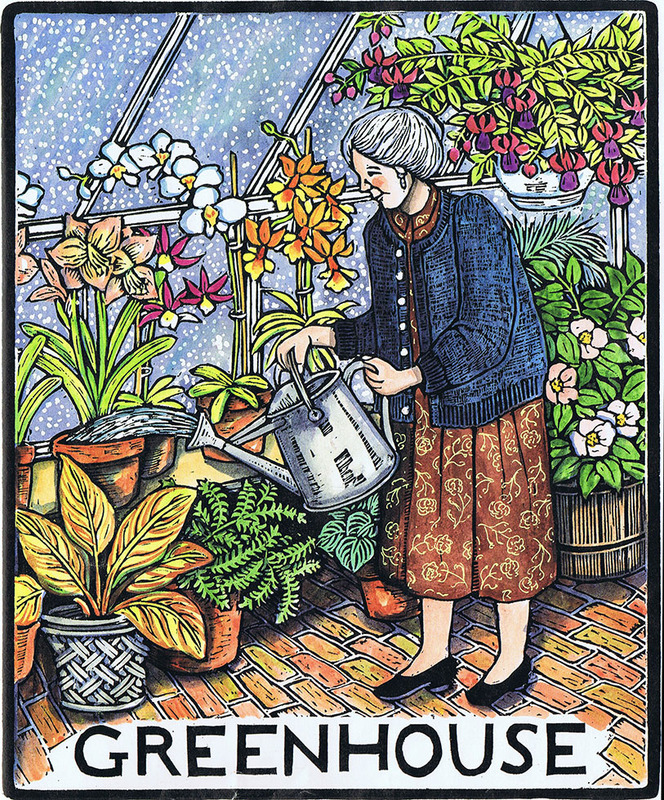 A few of these prints come from gardens in winter, others from spring or fall rather than high summer, but they all make me think of the joy of getting out into the yard now, while the garden is at its most exuberant. 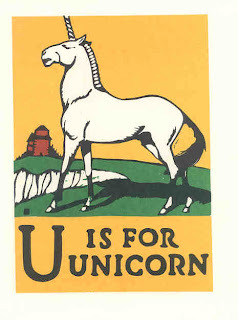 New in my collection of alphabet books is another one I have not been able to enjoy in person but which, through the magic of the internet, I can at least see on-line. 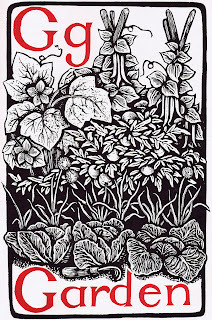 This is An Alphabet by Walter Inglis Anderson, the star of my previous post. Here's a Man working in the garden. 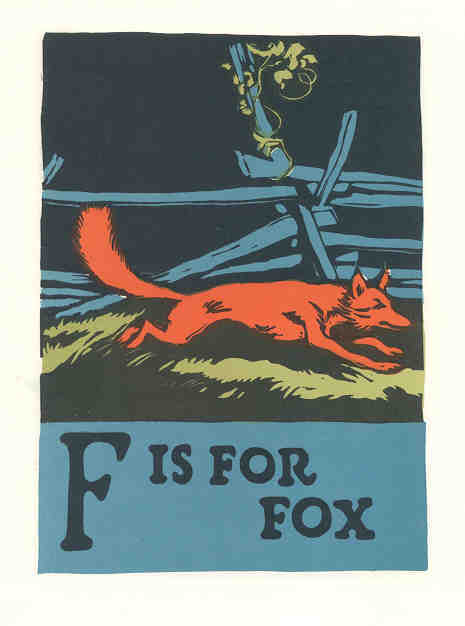 Rather than keep listing all my other alphabet posts, I've added "ABC" to the list of labels in the sidebar. Now you can always find the whole abecedarian collection if you're ever in need of the little dose of cheerful order that alphabet collections never fail to provide. Now, what are you doing in front of the computer? 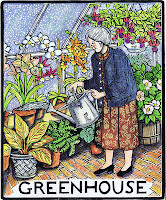 For goodness sake, get out into the garden! Walter Inglis Anderson and I have a few important things in common, although not our biographies. 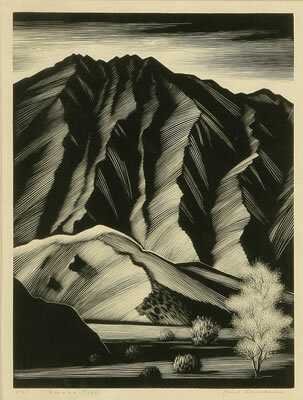 Anderson was born in 1903 in New Orleans and was expected from childhood to become an artist, to which end he went to all the right schools and got all the right scholarships. His two brothers were also artists, his oldest brother a potter who employed the rest of the family in Mississippi. Anderson designed pottery and figurines - work with which he was not always very happy. Some biographers think Anderson suffered life-long mental illness, while others think his problem was alcoholism. Either way, he was in and out of hospitals. He was known for his multiple escapes from institutions, in one case climbing down from his window on bedsheets and, on the way down, covering the brick wall in pictures of birds in flight done in soap. After a very productive period with his wife and children in another town, he left them and returned to the family pottery. He died in 1965. So as far as his life goes, Anderson and I couldn't have much less in common. Unlike me, Anderson was also a painter and did a number of public murals, as well as the pottery. Unlike me, Anderson often worked big. He would carve huge lengths of linoleum and print on the back of rolls of wallpaper (presumably unpasted) sometimes over ten feet long. The resulting prints were sold priced by the foot! Unlike me, he often painted his prints in bright colors (though as usual I've chosen to show mostly black and white versions.) 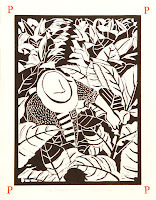 His style, of course, is quite different from mine, very stylized, with Asian and Art Deco influences. For all these differences, though, some of Anderson's interests and philosophies are right in keeping with my own. Anderson was interested in his local ecosystem, birds and animals. He was also a writer and a keeper of "logbooks." He was interested in illustrating fairy tales, nursery rhymes, legends, and children's stories, especially fantastical tales. 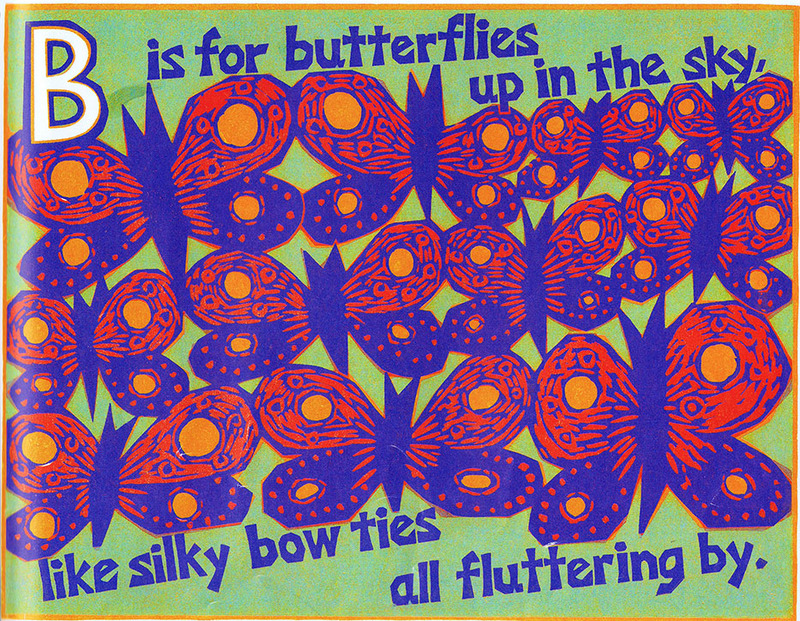 He was interested in making art specifically for children, including an alphabet book. (More on that later!) He believed that quality art should be part of everyone's life and available to everyone. 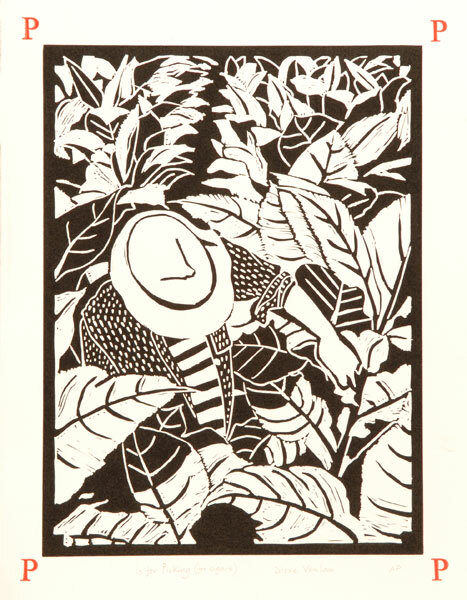 (This is one of the reasons he worked with linoleum - he could sell linocuts inexpensively so that almost anyone could afford original art.) In all these ideas I feel that Anderson and I are kindred spirits. For lots more of his work you can check out the Walter Anderson Shop run by his family. 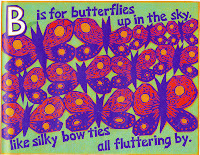 They sell hand silk-screened reproductions of his work.